The Turkish league throws up so many surprises these days that it is starting to become the norm. Where should we start from? well this week Malatyaspor battered Trabzonspor by a 5-0 scoreline and Sivasspor beat Besiktas for the first time ever away from home. Let’s start with Malatyaspor. Erol Bulut has done a tremendous job working on a shoestring budget at the newly promoted side based in the Eastern Anatolian region of Turkey. Bulut was an apprentice to Abdullah Avci for three years, working as assistant manager between 2014-17 before leaving the ship to embark on his own voyage. The 43-year-old manager is fast establishing himself as one of the most promising managers in the league. What he has done at Malatyaspor is nothing short of incredible in assembling a team spending a grand total of zero with no major star names or exciting young talents. Bulut has been able to build an organized, well-balanced team who play football which is surprisingly pleasing on the eye. Malatyaspor’s 5-0 victory over Trabzonspor was no fluke. They have also taken scalps from Galatasaray and Fenerbahce this season. Keep a close eye on Mr Bulut this season. 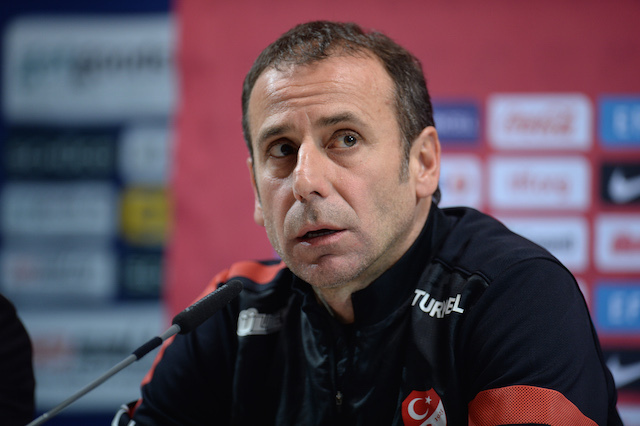 Bulut temporarily closed the gap with leaders Basaksehir to three points. His former tutor Avci extended the lead to six points again after beating Rizespor 2-1. With just about every club stopping and starting over recent weeks Basaksehir have been the only side to achieve any sort of consistency. That was the fourth win in a row for the Istanbul minnows who have lost just once this term. It is still too early to call them title favorites but unless the other challengers buck up their ideas pretty soon that could all change. Reigning champions Galatasaray ended up beating Kayserispor 3-0 away from home. Everton loanee Henry Onyekuru silenced his critics with a brace, taking his season tally to four goals. The win was the Lions third on the road this season. Losing away from home is no longer a surprise in Turkey. Home form will win the league this term. The problem Fenerbahce have had this term is their home form. But there are signs that the Yellow Canaries are starting to get their act together. Temporary manager Erwin Cocu has yet to lose a game since taking charge and his last two games have ended in victory. Fenerbahce beat Alanyaspor 2-0 at the Sukru Saracoglu stadium. Valbuena was Man of the Match for the second game running. The Istanbul giants are still 12th in the league standings but there is finally something to cheer about. Besiktas meanwhile could find themselves joining Fenerbahce in the bottom half of the table if they don’t buck up their ideas. The Black Eagles lost 2-1 at home to Sivasspor despite taking an early lead. Nineteen-year-old Guven Yalcin scored a fabulous flying header to put his side ahead but Tolga Zengin screwed up in goal for Besiktas. To be fair, the team, in general, were poor. Besiktas look out of ideas and incapable of creating chances. Besiktas have won just one of their last eight games. Fortunately, they are just nine points behind the league leaders. The international break could not have come at a better time for the Black-Whites. Head coach Senol Gunes is going to have to freshen things up over the break. Elsewhere in the Super Lig Kasimpasa returned to winning ways beating Bursaspor 2-1 away from home. Mbaye Diagne was on the scoresheet again netting his 12th goals in 12 games. Kasimpasa moved into 3rd place just five points behind Basaksehir.